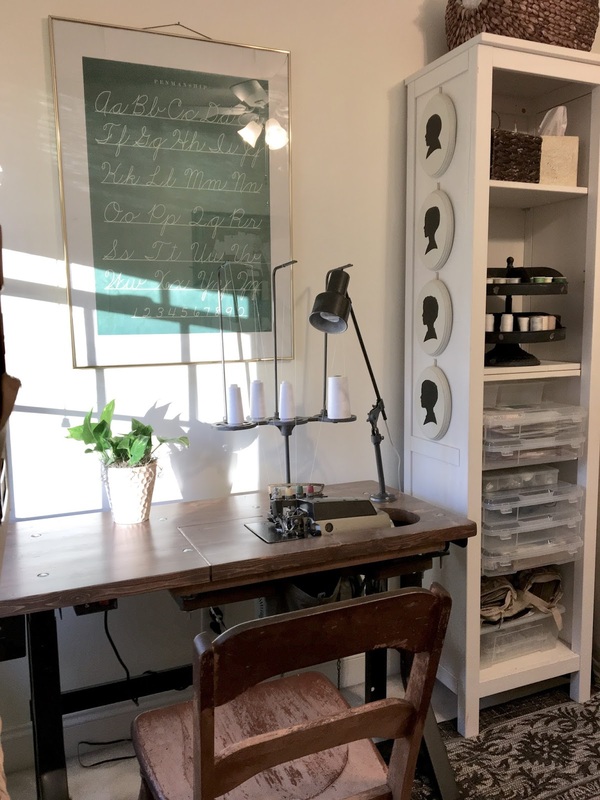 The Project Lady - Dani’s Sewing Room Tour + My Favorite Sewing Machines! Guess what!? 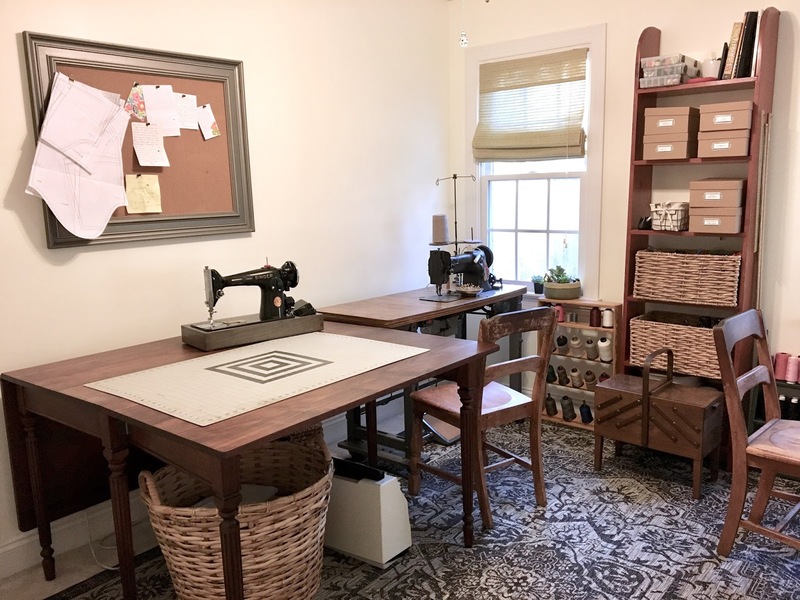 I have a sewing room again!! I’m so SO excited. Since moving into our house 2 years ago I’ve had 90% of my stuff inside bins in the walk-up attic – going in/out during a project and digging around in the dark was tedious so I haven’t been sewing very much. The other 10% of my stuff was in the guest bedroom closet and my industrial machines in the front room downstairs. 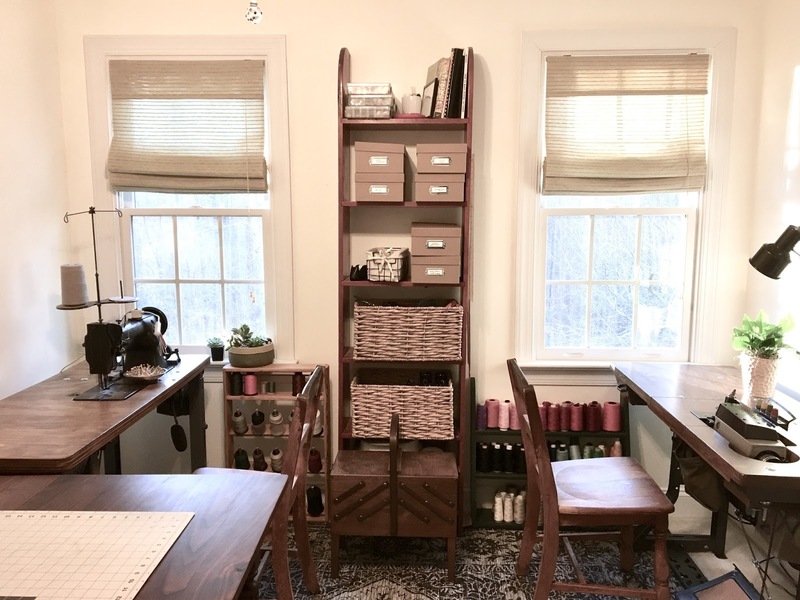 We decided to sell the guest bed and make the room my official sewing room. Within a few days of selling the bed I had everything put together. It was shocking how well everything came together – years of thrift store purchases and random things I wasn’t using got put to use. The biggest purchase for the room was the rug from Sam’s club – it’s an indoor/outdoor rug and will hold up well and protect our white carpet! 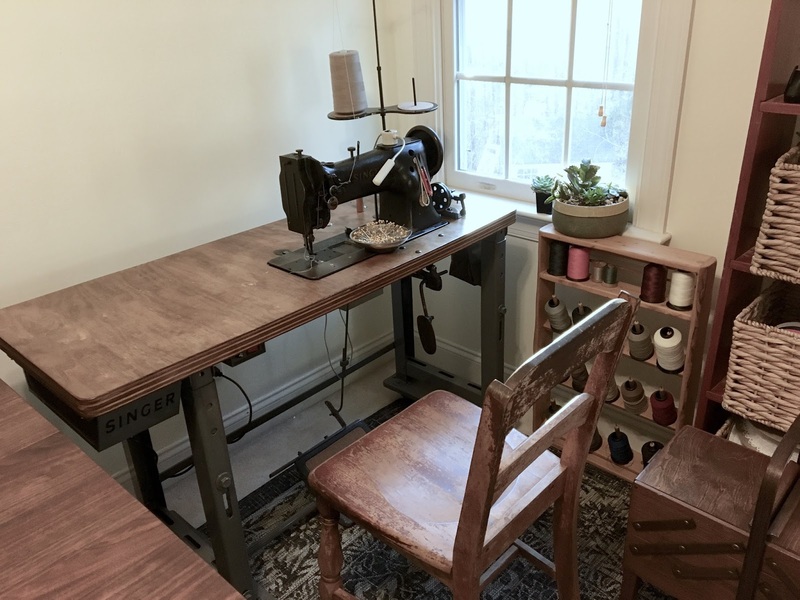 Thrift store purchases: the pinboard on the wall, large basket under the table, the table, both wooden chairs, tall shelf and Singer 201 sewing machine. Craigslist purchases: Singer industrial walking foot machine, Pfaff computerized sewing machine (in case on ground) and accordion sewing box on the floor. The mannequin hasn’t been used much since I bought it last year off Craigslist but I plan on putting it to use now! It’s an adjustable mannequin which I’m really impressed with because my body isn’t normal so I can re-create the shape with the dials (I covered the mannequin so my kids couldn’t adjust the dials, ha)! The tall shelf WAS in the little boys’ room but since Mr. Toddler pulls everything off the shelves during nap time I decided I would claim it for myself. 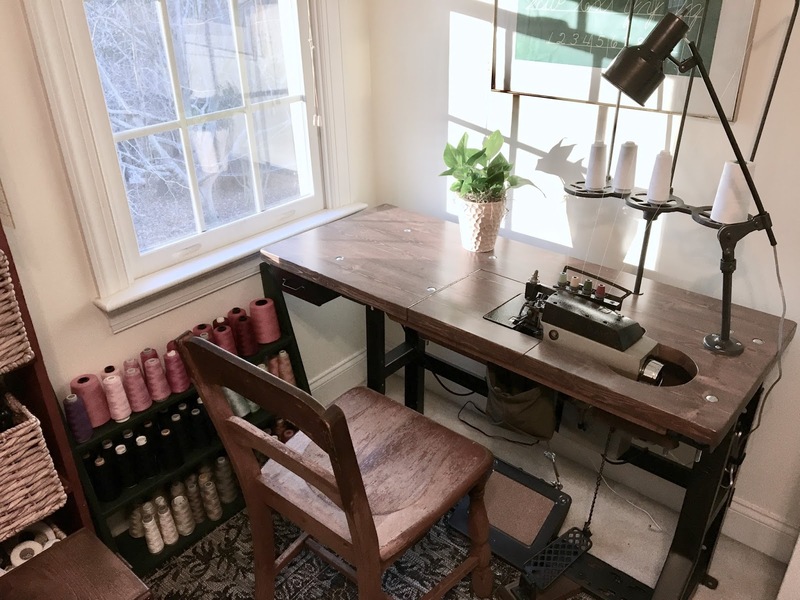 The overlocker machine was a Facebook Marketplace find! 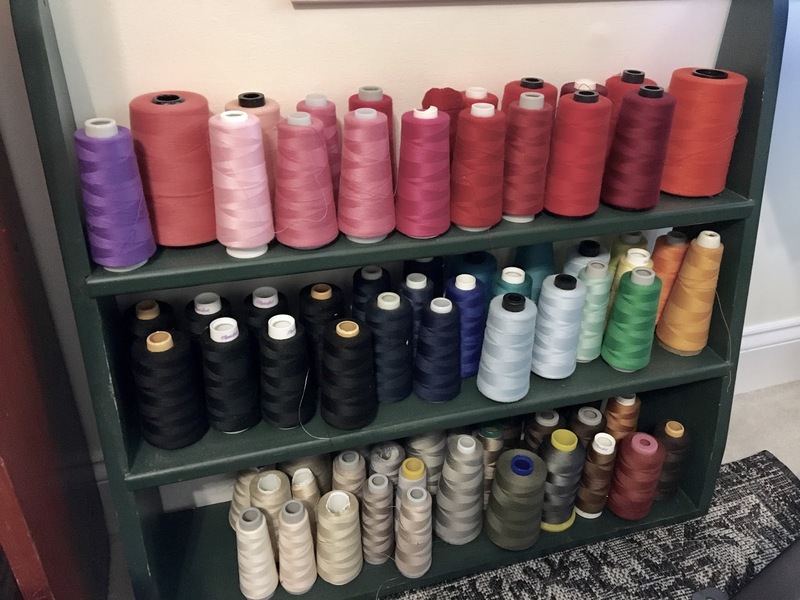 I had my cones of thread thrown in a bin and loathed digging around to find the color I was looking for. I happened to buy this shelf for garage storage recently but didn’t end up needing it – another thrift store find that works perfectly! The frame on the wall was another thrift store find that’s been leaning against a wall in our living room for MONTHS and the alphabet poster inside has survived our move and 2-years of things being put on top of it. The silhouette’s of my boys used to be on their bedroom doors but kept falling off and were sitting on a shelf without a place. The white shelf was discounted from Ikea and the wooden shelf was a dumpster find when we lived in Michigan (a little sanding and it was as good as new)! 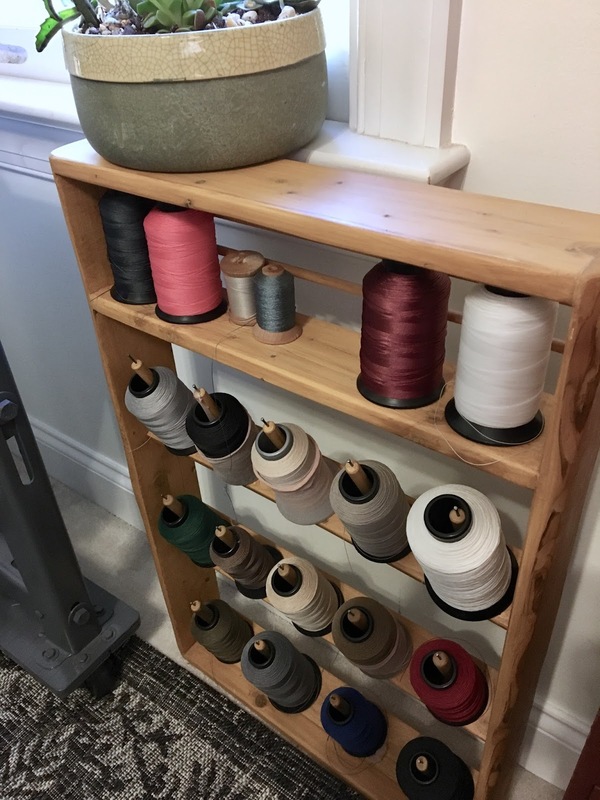 The antique spools and white basket were thrift store finds as well. 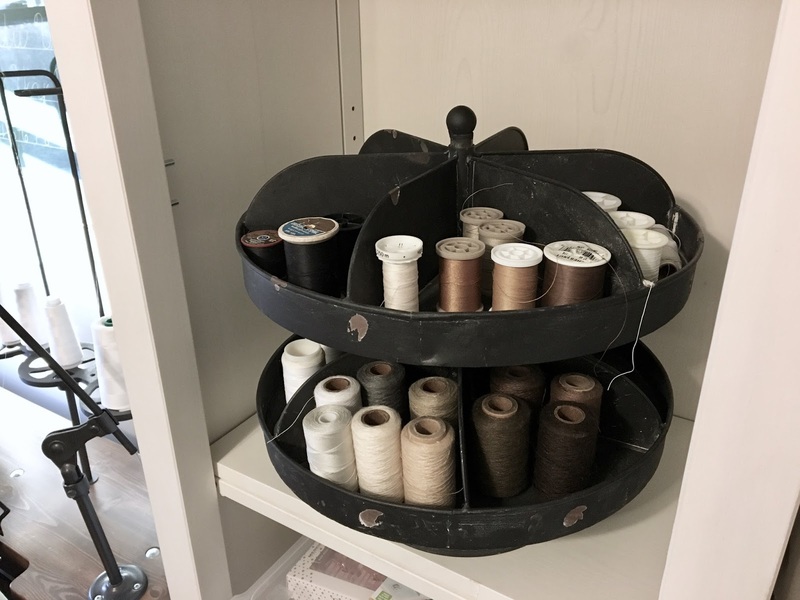 This was one of the best $25 purchases I’ve made for my sewing room. 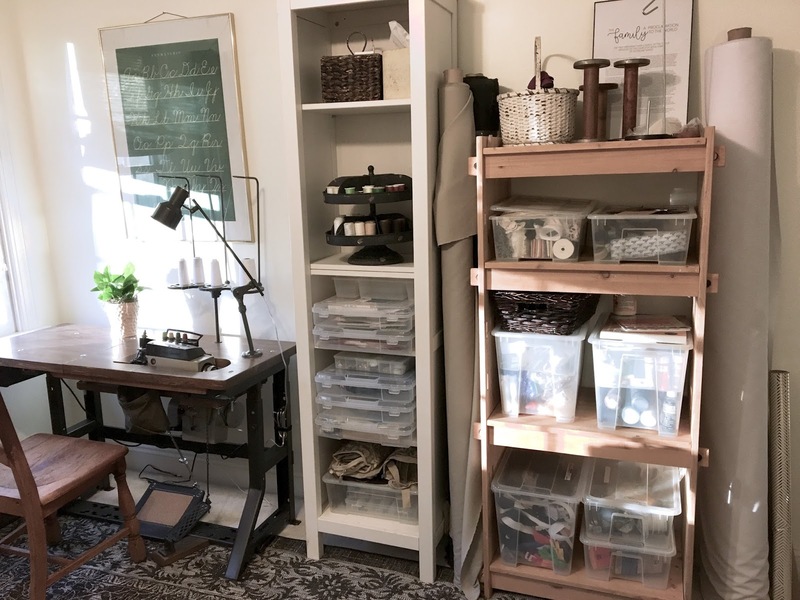 This box stores SO much stuff and keeps all my regular sewing notions/tools/attachments on-hand. This organizer was an on-the-spot purchase from Michaels and was left in the bag for longer than I should say. I’m glad it was too late to return because it works awesome for all my small spools of thread. 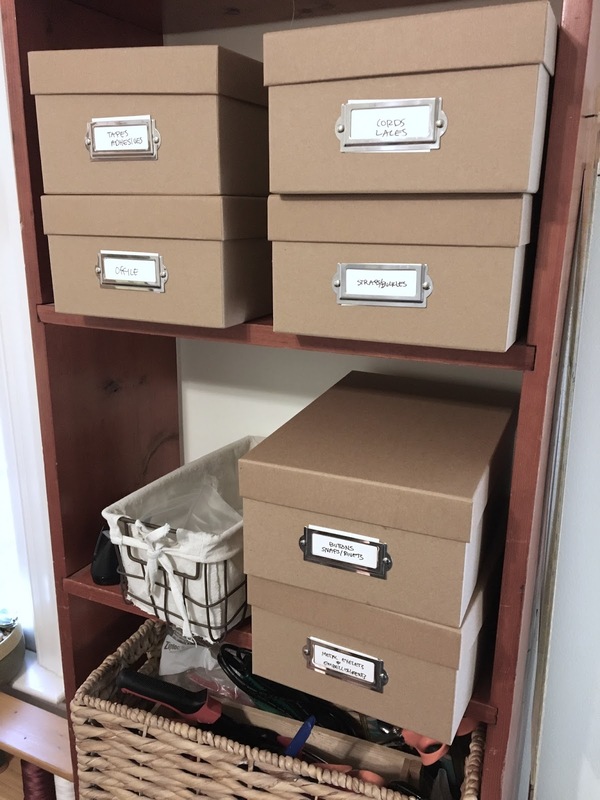 These shoe boxes were recently on sale at Michael’s for $2.50 each and have been a great solution for storing. As you can see I buy most things second-hand – it’s so rewarding to get what you want for cheaper! 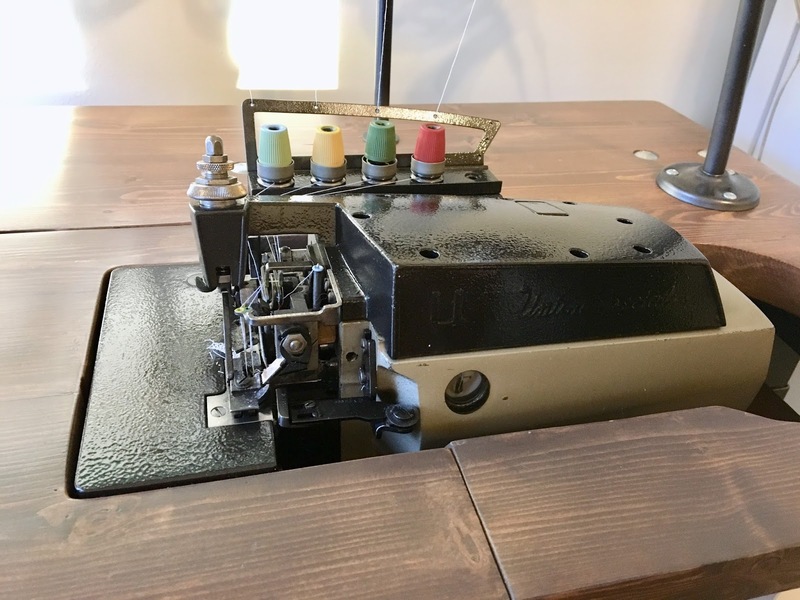 Pfaff 1472 – this is my go-to machine for most projects, especially delicate/detailed sewing or for sewing fabrics that are light to medium-weight. The presser foot is wide as well as the feed-dogs which feeds the fabric perfectly and gives you great control. 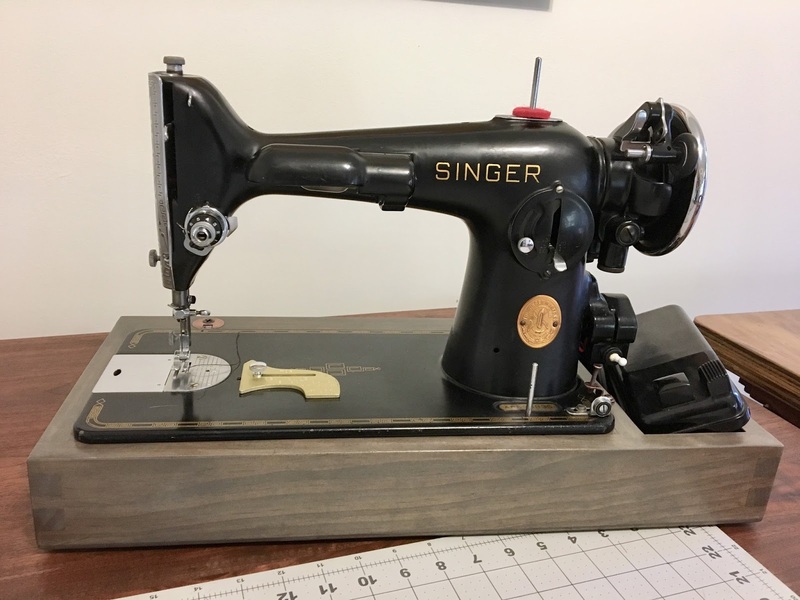 Singer 201-2 – this baby has and always will be one of my favorites. I have an armful of attachments that I prefer for this machine than the same functions on the fanciest machine you could buy today. This machine is a workhorse and so fun to use. I love how simple and well-built it is – will easily last a lifetime with routine cleaning and oiling – I don’t suspect I’ll ever need this machine serviced! 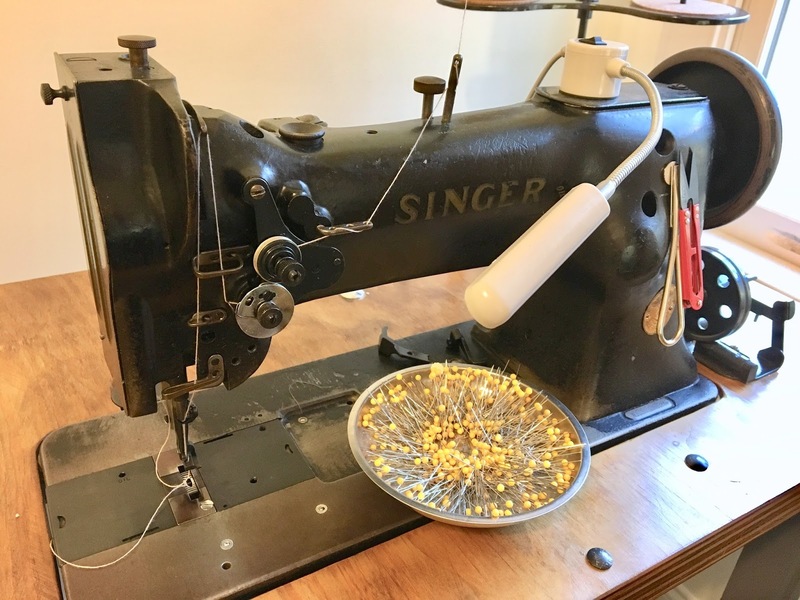 Singer 111w152 – this is an industrial walking foot machine meant for textile sewing. I love having this machine – it goes through things you wouldn’t think a machine could go through. The thicker thread makes projects look beautiful (and of course are more durable). It’s not ideal for lighter fabrics so it hasn’t gotten used as much as I’d prefer – hopefully I can come up with products to make and sell in the near future to put this beast to work. Union Special 39500FW – This is a commercial overlocker/serger machine with 2-needles and 4-threads. This is my most recent addition and I love it. It’s much quieter, smoother and faster than my computerized Pfaff. It’s a joy to sew on! 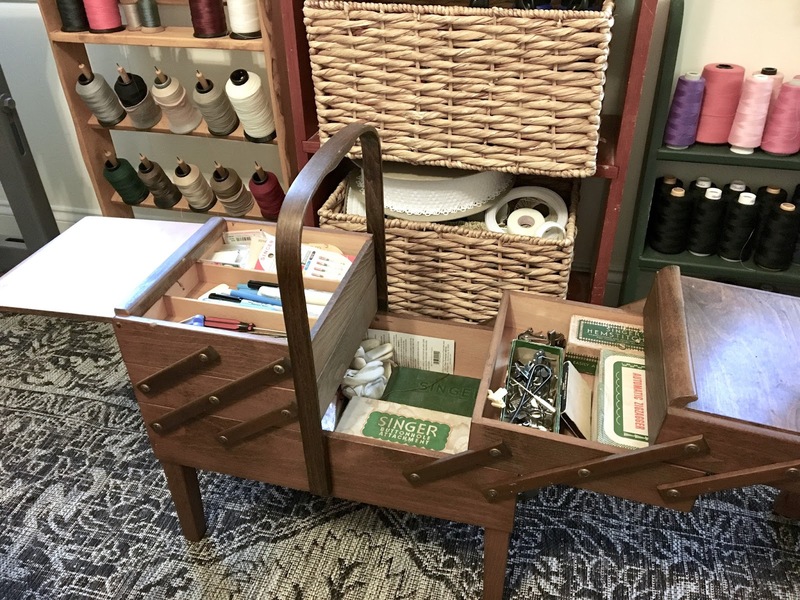 I love that sewing notions box on the floor! I've never seen one like that before…was that a thrift store find too? 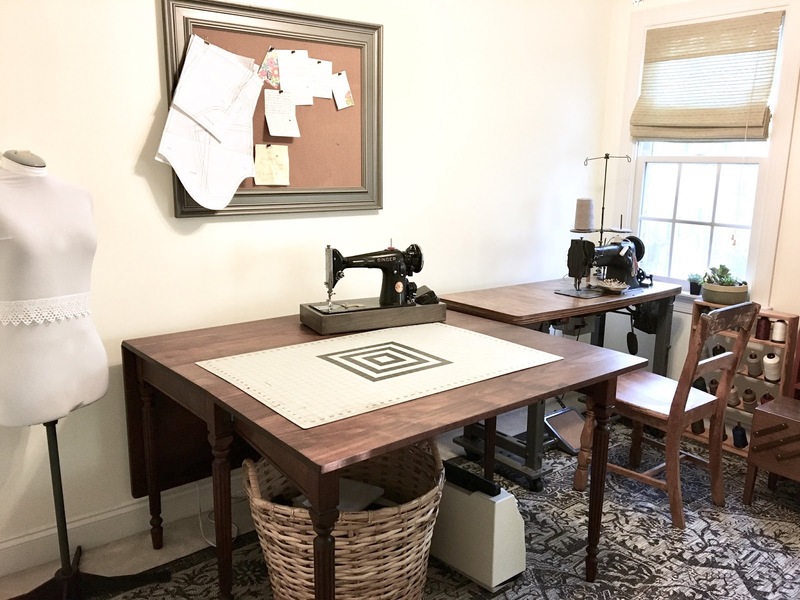 I got it off Craigslist for $20 – it’s been one of the best purchases for my sewing room! I see them all the time over here for sale. Search for variations of these words “antique sewing wood accordion box”. Good luck!